Recently I had the pleasure of working with a new client who has a really interesting product. The All-Weather Firestarter is basically a survival tool used to start fires in any condition, and it even works when wet. The client came to my company with the need to design pretty much everything for this product. It did not have a logo, and had been sold in person and online via an archaic website desperately in need of a redesign. The consumer base was primarily from word of mouth and trade shows like gun/knife events that the client would attend to sell his product. So after discussing some information with the client about his product and goals, we were able to complete a design brief and have a good handle on how exactly we wanted to market the All-Weather Firestarter. First things first, we needed to identify this product with a simple, elegant, relevant, and memorable logo design. I find it intruiging to work with clients, especially when they have scoped out your work and trust that you can deliver solid/effective visual marketing. This client put his trust in me as a designer, and we were able to work together to come up with a solution that satisfied us both AND did justice to the product. 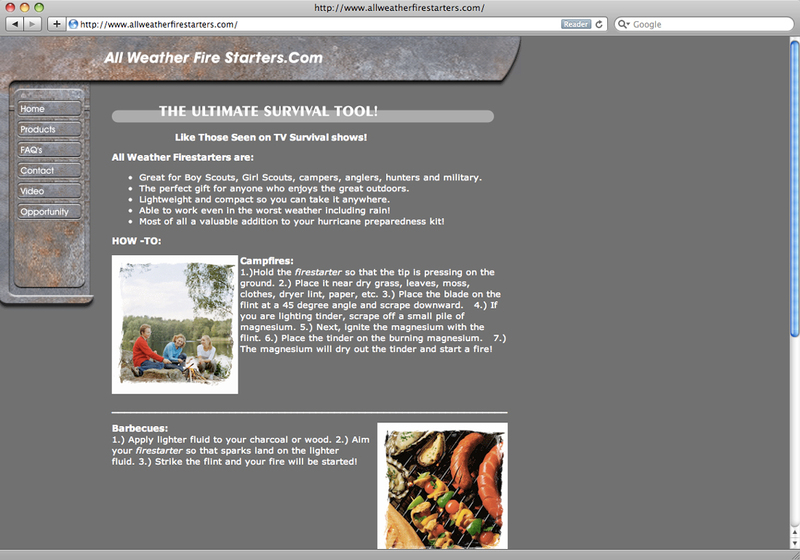 Below is the final logo design for the All-Weather Firestarter. 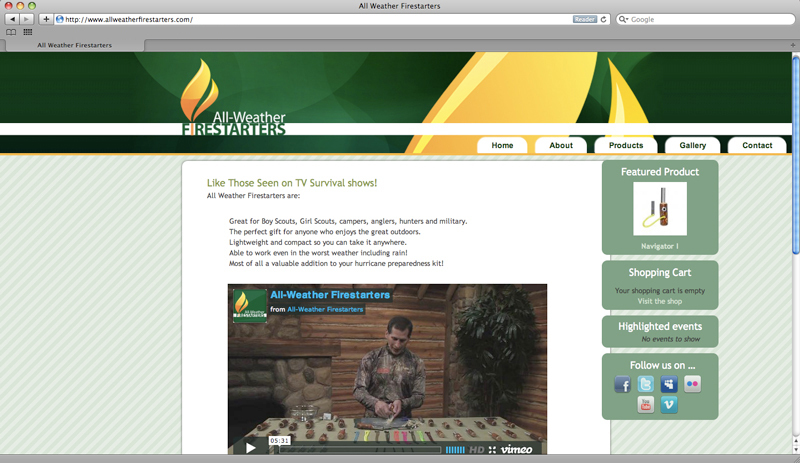 And it takes on a slightly different form for the various social media outlets that were created for the All-Weather Firestarter. 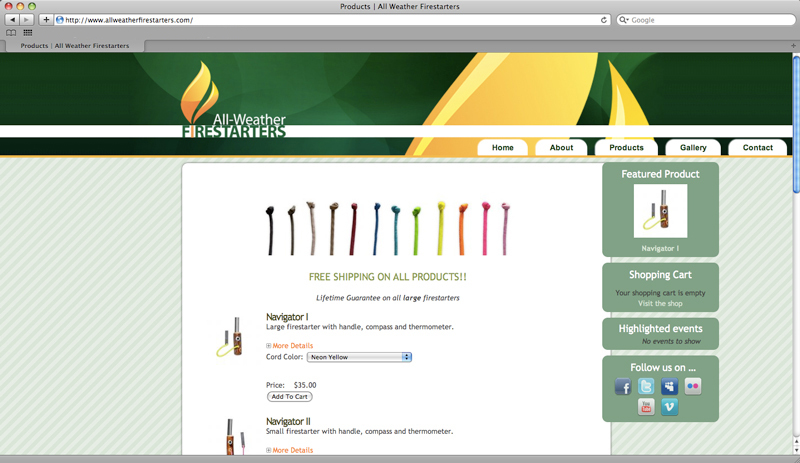 The next step, was to create a new website for the All-Weather Firestarter. We wanted to give it a nice slick look and feel, showcasing the new logo/identity while retaining all of the important information on the product itself in an organized and easy to find manner. 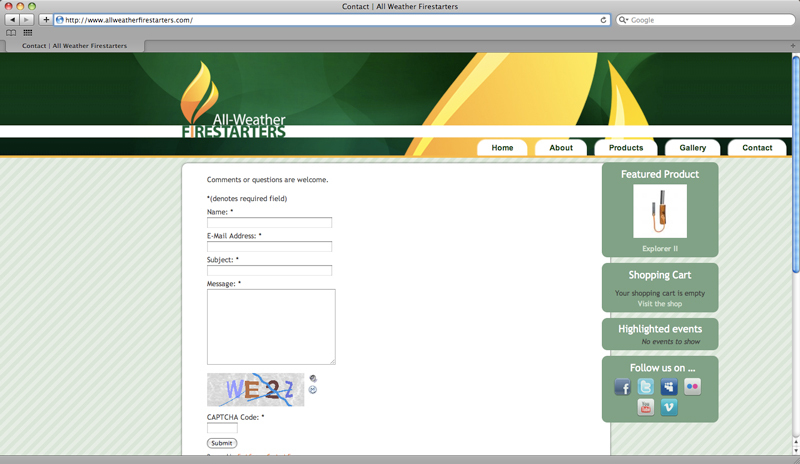 Below you can view the change from the old website to the new one. 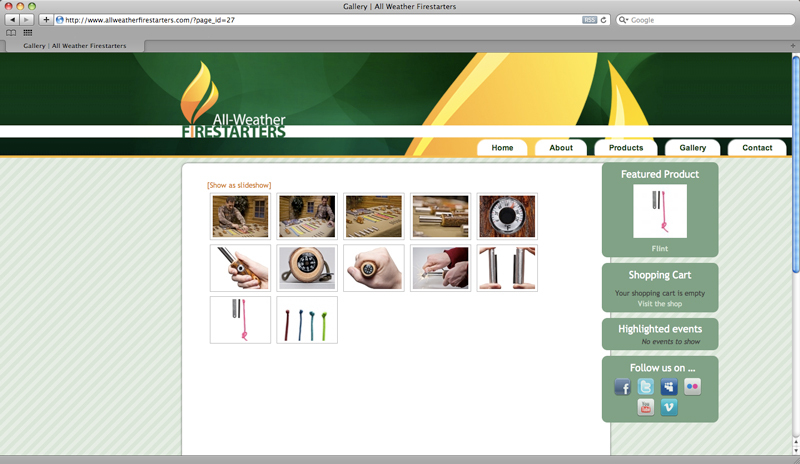 My company is also doing other work on this product including video, photography, business cards, social media, etc. 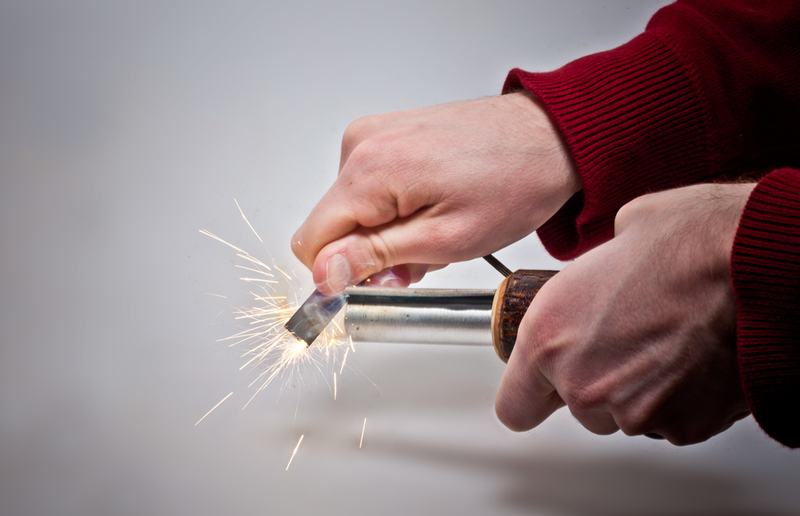 It continues to be a creative adventure with the All-Weather Firestarter! 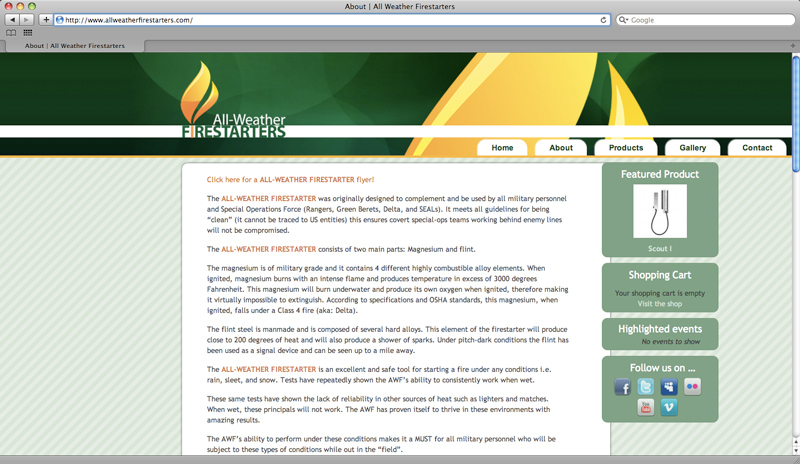 Categories: Branding, Graphic Design, Logo Design | Tags: all weather firestarter, all-weather firestarters, awf, awfs, edmund villareal, fire starter, firestarters, logo, logo design, survival tools, web design | Permalink.